A true story of incredible fiction. Where are the shoes? No one seems to know. 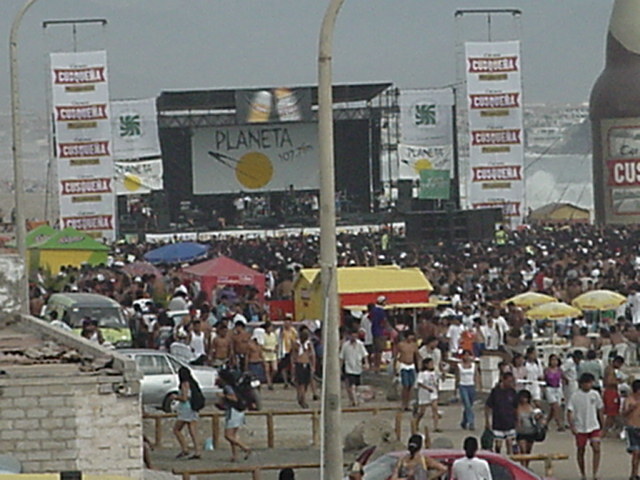 The last time that they were seen was at the beach concert 2 hours south of Lima, Peru. (see photos below) There have been unsubstantiated reports of them being spotted in Paris, France; Geneva, Switzerland, Chile, Tarapoto Peru, and the wilderness area of Canada. Following such reports we send our investigators to the reported areas to do a personal search. See the section of this web page titled PHOTOS: WHERE ARE THE SHOES OF VYTIS?. below: Photo of the area where the LOST SHOES OF VYTIS were last seen. 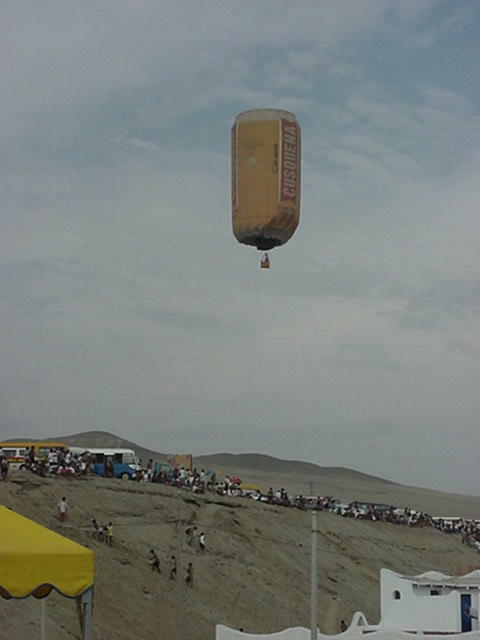 below: After Vytis lost his shoes at the concert in Peru, the local police use a balloon to search for the LOST SHOES OF VYTIS.